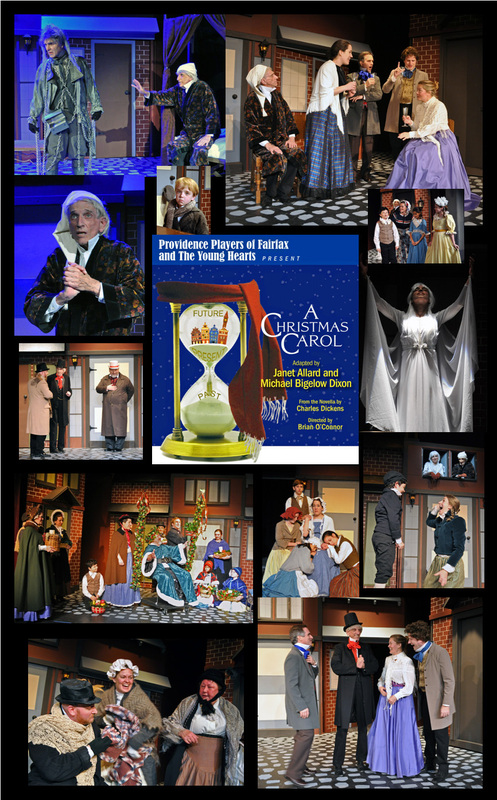 Performed at the James Lee Community Center Theater Located at 2855 Annandale Rd Falls Church 22042 – “A Christmas Carol” – A Fresh New Production of the Dickens’ Holiday Classic. On the eve of Christmas, Jacob Marley, and the ghosts of Christmas Past, Present and Yet to Come help Ebenezer Scrooge confront his past and face a bleak future – unless he changes his ways. A classic story of transformation and redemption, this fresh version of the holiday favorite with the Cratchits, the Fezziwigs and Tiny Tim offer a message of hope and charity – a wonderful way to celebrate the holiday season. Once again, the Providence Players partner with the Young Hearts Foundation to present a family holiday classic with half the net proceeds of the production going to help find a cure for blood cancers though the Leukemia & Lymphoma Society. ← Opening Next Friday! Running Through December 15th – Some Great Theater for a Great Cause!